Andrea Franzen was born in 1991 in Aachen. Following her vocational diploma, she started her training to become an industrial clerk in a Krefeld-based, family-run paper and plastics processing company. During the course of these three years, she worked in a very wide range of departments, such as purchasing, sales, shipping and accounting as well as on the telephone switchboard. Once she had successfully completed her training, she switched to working in the sales department. Her main tasks included order processing as well as providing both german and international customers and trade representatives with support. 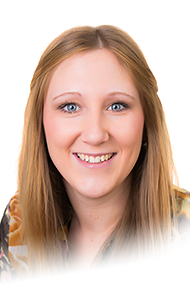 Andrea Franzen has been employed as a sales assistant at innotaste GmbH since September 2015.